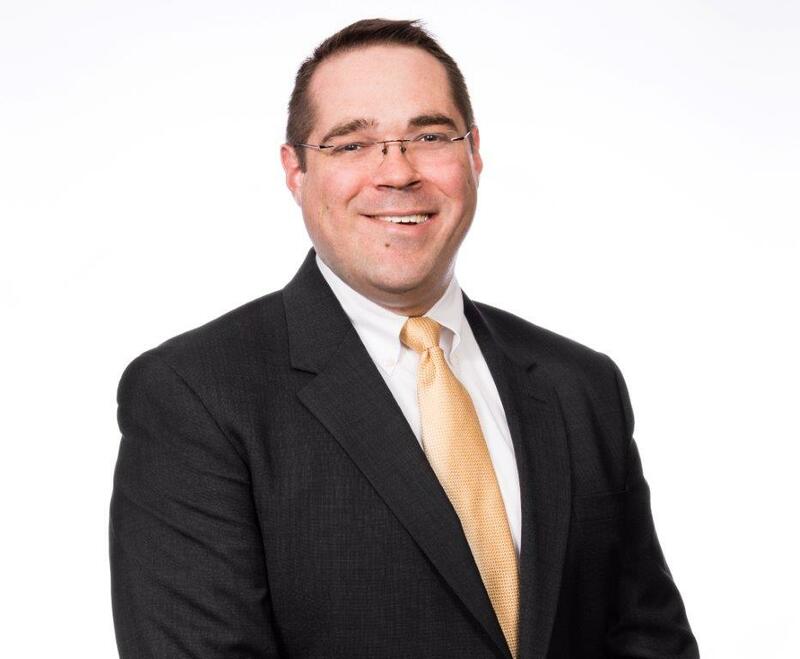 Sam McCrimmon ’99, currently at University of Pittsburgh Medical Center (UPMC) Health System, has been selected to lead The University of Toledo’s Advancement Division, pending approval of UT’s Board of Trustees. Click here to read the news release. Sam’s fundraising fundraising career began at Wheeling Jesuit University and he served as director of programs for the Executive Service Corps of Western Pennsylvania. In 2004, he joined the University of Detroit Mercy, where he advanced to leading the major and planned gift programs, providing strategic direction that resulted in record fundraising in fiscal 2010-11. He joined the UPMC Health System in 2011 and has overseen growth both of fundraising and infrastructure. After Wabash, Sam earned a juris doctorate from the University of Detroit Mercy School of Law and a master of theological studies degree from Duke University. Francisco Guzman ’13 is the owner of the new Harbor Town Diner in Noblesville, Indiana in the Morse Reservoir area. It is a family affair, with Francisco and/or his mother or father on site at all times to personalize the dining experience. The varied menu includes items based on their native Venezuelan fare, as well as other favorites. Click here to read the news story. 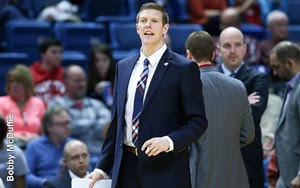 Jordan Surenkamp ’13 was named the University of South Alabama men’s basketball program’s director of operations after spending two seasons as a graduate assistant. Click here to read the news release. Jordan was a rhetoric major at Wabash and lettered four-years in basketball. After Wabash, he earned a master’s degree in communications from South Alabama. 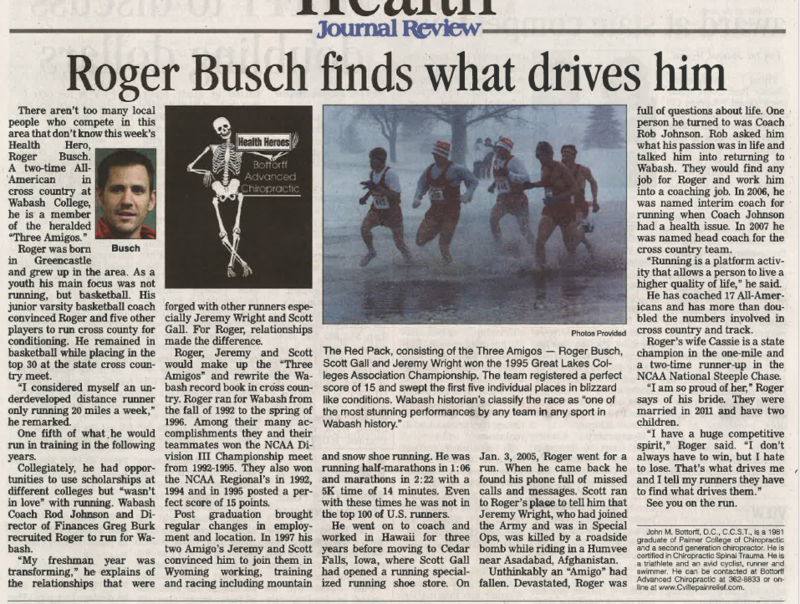 Wabash Cross Country Coach Roger Busch ’96 is this week’s featured Health Hero in the Crawfordsville Journal Review. Coach Busch was two-time All American in cross country at Wabash and one of the “Three Amigos” with teammates Jeremy Wright ’96 and Scott Gall ’96. He returned to campus in 2006 as interim coach, then was named head coach for cross country in 2007. This regularly scheduled health column appeared in the Journal Review on July 23. 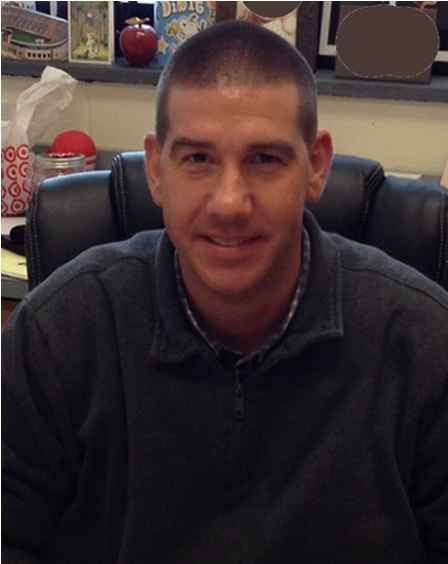 Steve Wherry ’92 is the new principal at Knightstown Community High School in Indiana, moving up from being assistant principal since 2008. Click here to read the news release. After Wabash, Steve earned a Master’s degree at Butler University and completed the administrative licensing program at Ball State University. His area of teaching is Mathematics. 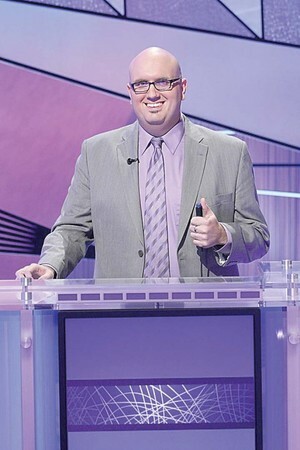 Local Crawfordsville resident Chris Short ’00 will soon be featured on a national television trivia show. You probably remember that Chris was a Jeopardy winner in 2011. Chris has been the editor of “Geeks Who Drink” — a trivia company that has turned pub trivia contests into a television pop culture show. Chris has worked the last few months as a writer for the show. Click here to read the news release. 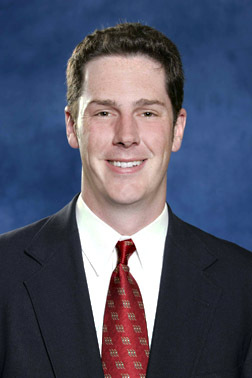 Doug McMeyer ’00 has joined law firm Chapman Spingola in Chicago as partner. Doug is a commercial litigator with significant experience in state and federal courts. He regularly handles complex commercial litigation, breaches of fiduciary duty, trade secrets, toxic torts, product liability, contracts, debt collection and internal investigations. After Wabash, Doug earned his JD from the University of Illinois College of Law. 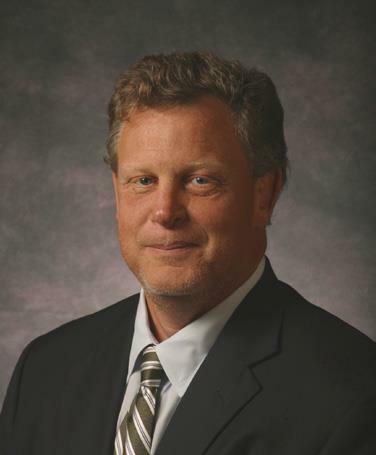 David Broecker ’83 was interviewed by Inside Indiana Business this past weekend. Dave is the CEO of the Indiana Business Research Institute in Indianapolis. Click here to listen to Dave describe plans for new research space, hiring staff, and the future of IBRI – his goal is to create a unique research venue and program, not duplication of other research places. Marc Nichols ’92 is featured in the Trending section of online Forefront Magazine. Click here to read the story: “The Importance of Networking and Taking Risks.” In the article, Marc explains how networking and taking risks have helped him grow personally and professionally. 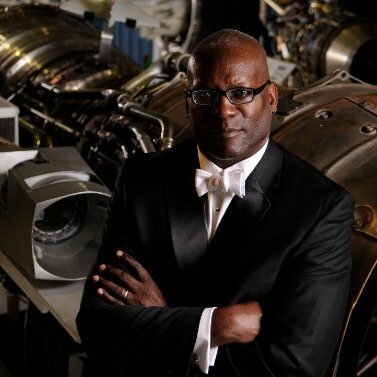 Marc is currently Legal Counsel & Director of Compliance at Rolls-Royce North America. After Wabash, he earned a JD from Washington and Lee University School of Law, followed by a career as attorney, COO, and legal counsel. He is a member of the Board of Directors for the National Association of Wabash Men. 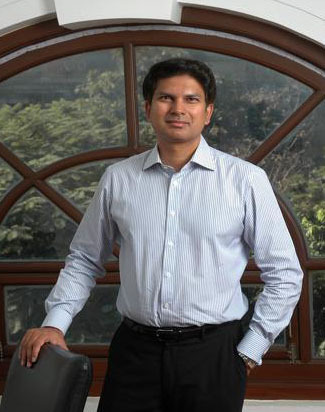 Taimur Baig ’94 is Managing Director, Chief Economist: Asia, Deutsche Bank AG, based in Singapore. He often comments on world economy news and its affects in Southeast Asia. Click here to read an interview with Taimur in June. Taimur was an Economics major at Wabash, including off campus studies at The London School of Economics and Political Science (LSE). He earned a PhD in Economics at the University of Illinois at Urbana-Champaign and worked for the World Bank and the International Monetary Fund before joining Deutsche Bank eight years ago.